Ubisoft occasionally likes to tease upcoming projects in their released games and slowly just wait for people to figure it out. This seems to be the case with The Division 2, which featured posters of a viking since release. YouTuber JoRaptor noticed that the posters contained something a lot more identifying, however: the Apple of Eden, Assassin’s Creed series-spanning maguffin with magic powers. This hints at a new Assassin’s Creed game set in the cold Norse waters, but Kotaku has gone ahead to chime in with their own sources to confirm it. A viking game makes sense with the current direction of the series, which focuses more on action RPG combat, character builds, and lots of boats. In that sense, a viking game flows well from what Assassin’s Creed Odyssey established with its Grecian theme and structure last year. With the Apple of Eden playing a part in the poster, it seems likely the First Civilization treasure will have something to do with the game’s story. Ubisoft has stated that Assassin’s Creed will be skipping 2019, marking the second time ever that the series has skipped a year between annual releases since it became annualized. This would mean that this apparently 2020 game would very likely be a cross-gen game, assuming rumored schedules for next-gen consoles stay firm. 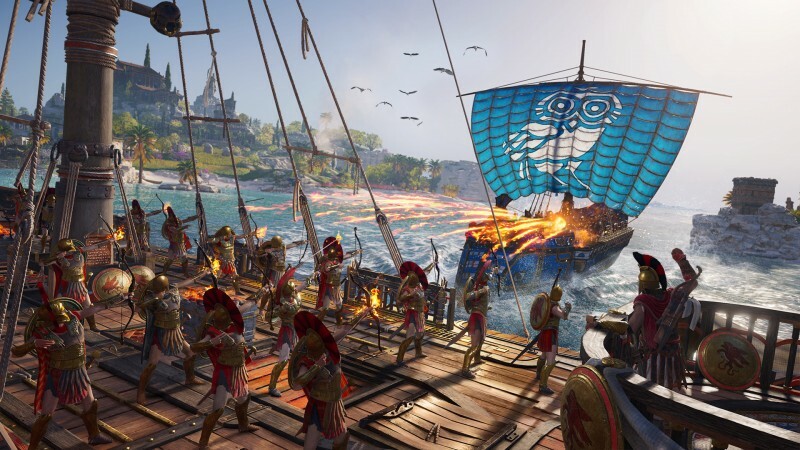 Ubisoft is no stranger to this strategy, as Assassin’s Creed: Black Flag saw a release on both older generation consoles and newly released consoles at the same time. It is unlike Ubisoft to leave the series dormant for so long, however, so whether the vikings game is the next Assassin’s Creed game or merely an Assassin’s Creed game is not clear. Ubisoft has said they still have some AAA games left to unveil and release this year, though haven’t tipped their hands as to which ones. Rumors are swirling about a possible Watch Dogs 3 set in London being prepped as the company’s big holiday title, which would make a lot of sense. Ubisoft’s E3 conference this year will take place on June 10.